Board member Tam Allan was re-elected to serve as Vice Chair while Dan Kunnemann was re-elected as board treasurer. The position of Secretary ended in a tie between board members Van Neidig and Doug Brand. A tie-breaker vote is anticipated during the next meeting in Grand Island. 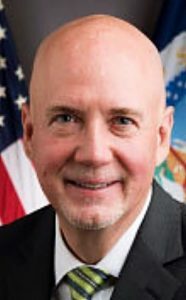 To fill the remaining board seats left vacant by term limits, Governor Dave Heineman has appointed Lowell Minert of Dunning to serve the Third Congressional District of Nebraska. Special elections will be held to fill the expired terms of Jerry Fitzgerald of Scottsbluff and Joe Andrews of Bassett. The Nebraska State Fair board has a total of 13 members. For more information, visit their website at: http://www.statefair.org.